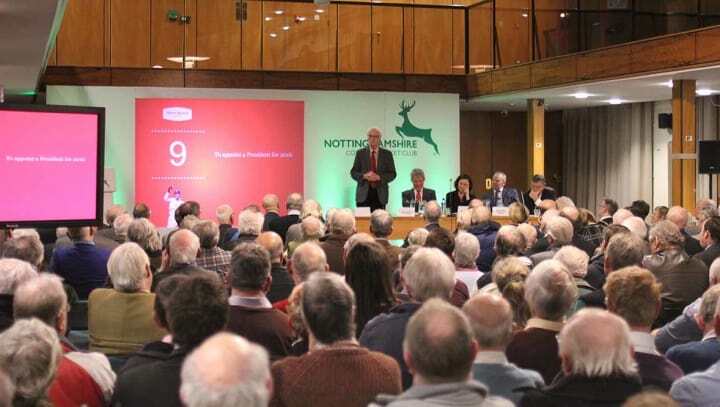 Nottinghamshire’s 2016 Annual General Meeting took place this evening and included a number of announcements to the gathered Members. While long-serving Club Librarian and historian Peter Wynne-Thomas was appointed President, Peter Wright announced that he would be standing down as Chairman following eight years in the role. Paul Ellis was elected unopposed to replace the retiring David Beaumont on the General Committee, to which a new Chairman will be appointed at the next meeting, while Enid Bakewell was made a Vice-President in recognition of her services to the women's game. The Club, meanwhile, announced a pre-tax surplus of £1,180,636 for the year to 30 September 2015, with importance stressed to the Members of placing the result into the context of a multi-year cycle. A Membership of 8,354, the highest in the history of the Club, a sell-out Investec Ashes Test and record NatWest T20 Blast attendances all contributed to the result. With Trent Bridge not hosting a Test in 2016, a controlled but significant loss is anticipated for the following year. It was also announced to the Members that planning permission has been received for the expansion of the Club’s broadcast facilities at the Radcliffe Road End of Trent Bridge, as the Club aims to secure the future of international cricket at the world’s third oldest Test venue. The Club is continuing to work through the detail in the hope of the development being confirmed prior to the start of the new season, with timescales to follow.